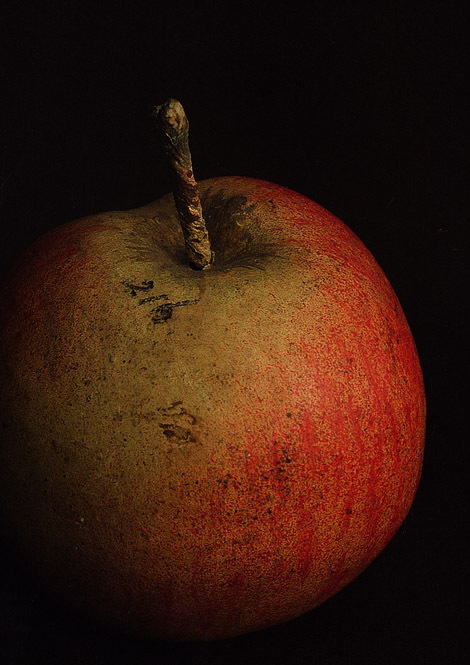 Recently, a new book was published, documenting the historical collection of fruit models in the Museum of Economic Botany, Adelaide Botanic Gardens. The Museum holds one of the most complete collection of apples, pears and stone-fruit (plums and apricots) manufactured by Heinrich Arnoldi & Co. in Germany. Kanellos, T. (2013). Imitation of life — a visual catalogue of the 19th century fruit models in the Santos Museum of Economic Botany in the Adelaide Botanic Garden: a collection of papier mâché models made by Heinrich Arnoldi & Co. Gotha, Germany (1856–1899). (Board of the Botanic Gardens and State Herbarium: Adelaide). All 360 painted papier mâché fruit models are depicted in beautiful full page photographs by Paul Atkins. The accompanying text by Tony Kanellos, Cultural Collections Manager and Curator of the Museum, describes the history of the collection and of its manufacturer. The book is available from the reception at the Goodman Building, Hackney Road (phone 08 8222 9311 for mail orders), from the Diggers Garden Shop in the Adelaide Botanic Gardens, and selected booksellers. Retail price $69. Update: Imitation of Life won The Museums Australia Multimedia and Publication Design Award for 2014. This entry was posted in Publications on 1 December, 2013 by Jürgen.